I’m going to a concert this weekend, and I’m trying to decide what to wear. It’s a billion degrees in Houston, so I want to be cool and comfy, but still look stylish. Jeans and a classic tee are always a perfect look for a show. I love this studded bag from Forever 21. It would be perfect for holding essentials like keys, money, phone, lipstick, ID, etc. I kept the jewelry to a minimum because I don’t want to have to worry about it getting broken or tangled when I’m rocking out. I don’t want to wear a full face of makeup either because it is so hot, but I think it would be fun to do a winged eyeliner and a bold red lip to give the outfit a pop of color. The Valentino boots are just too amazing for words. They are WAY out of my budget, but I bet I can find something with the same feel to it for a lot less money. Whatever your plans are for the weekend, I hope it rocks! 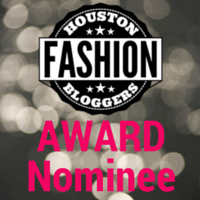 This entry was posted in Fashion, Handbags, Jewelry, Lifestyle, Shoes and tagged boots, concert, fashion, forever 21, glamourbones, H&M, houston fashion bloggers, Model Co, Passport, polyvore, red lipstick, Smashbox, Stila, studded, studs, style, Valentino. Bookmark the permalink.